This is a partial list of restricted airspace in the United States, please check all the applicable property rules in your area, as well as check what FAA airspace rules exist in your area. You must affix your drone registration number to the outside of your drone. The FAA has announced that they will be taking a more active approach to policing illegal drone flight. Fines can be as high as $20,000, it’s time to take safety and drone laws very seriously. The FAA is on the verge of revamping some drone laws, mostly for hobby pilots. Flying for fun may become difficult to do legally, but the Section 336 repeal may take a while to complete. Who is in control of the sky? So, you checked that the FAA says it’s fair game to fly over your local park, are you good to go? No. While your craft can enjoy airtime anywhere the FAA says it’s okay, you may be trespassing on the ground to fly at that park. You may be slapped with a noise pollution ticket for flying there as well. In effect, no matter who says you cannot fly somewhere, it’s probably best to not fly there. I just want you to know your rights in the air, you answer only to the FAA in terms of where your drone can fly. 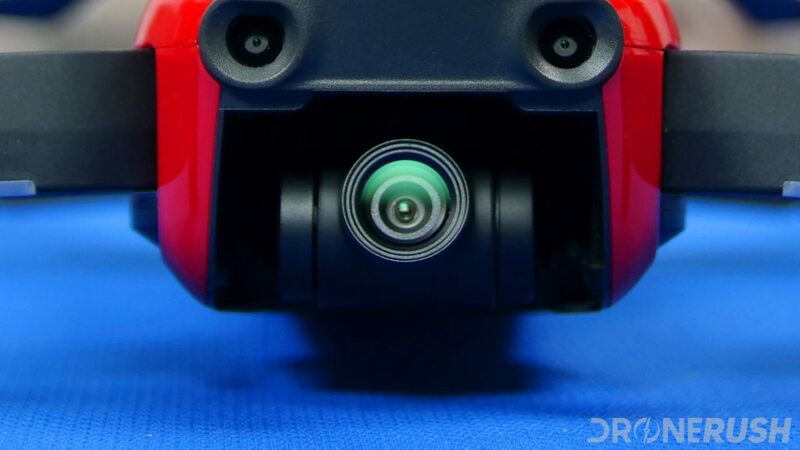 If your drone has a camera, your drone is a camera. All privacy laws are in place. You cannot take photos of your neighbors through their windows using a hand-held camera, don’t start thinking it’s okay to do it now with a flying camera. You and I know that the wide-angle lens on a typical drone does not capture humans very well at any distance, but most people don’t know that. Respect privacy, respect personal space. There are a number of established no-fly zones in the United States. Most are very common sense, no matter how annoying. Let’s take a look at a few. Did I have to tell you this? I hope not. You can get waivers and authorization to fly over or near airports, but for the most part, you cannot fly at airports or in flight paths. I’ll remind you that flying within 5 miles of an airport requires you to take some steps before you fly. Learn more about that in our FAA drone laws series. The area above and around The White House is a no-fly zone. The Secret Service takes no risks in protecting The President and the privacy of the nation, don’t put them to the test. Flying within 15 miles of the general Washington DC area will get you some fines, you may see jail time or worse. Again, too bad, The White House could be an amazing place to fly a drone. I can only imagine the superb photographs. Let’s keep this one simple, the Goodyear Blimp, and maybe a few fighter jets, are essentially the only flying machines allowed above a sporting event. This is primarily to protect the hordes of people below – you recall that you cannot fly over top of people, right? This also protects the IP of the sporting event. Once again, if your drone has a camera, it is a camera, and cameras are not allowed into paid sporting venues. The FAA wants you to respect animals. There are many places across the country that are designated wildlife areas, over which you won’t be flying your drone. More specifically, the FAA mandates a minimum altitude of 2,000 feet AGL for all aircraft. Since your drone flight is limited to 400 feet above the ground, you will not be flying in designated wildlife areas. Sure, there are some caveats, but aside from those rare cases, no flights. Once a forest or wild fire gets to the level that manned aircraft will get involved in the fire-fighting and life-saving efforts, the FAA will enact a temporary flight restriction for the area. This flight restriction goes for all aircraft. Whether flying a drone or an airplane, if you are not a part of the fire-fighting operation, you cannot fly around a fire. Like it or not, the manned aircraft that participate in wild fire operations will divert if there is a drone in the area. You can be held liable for any lives lost or extra acres burned if your drone prevents a manned craft from performing a crucial task. The FAA originally allowed drone usage within range of military bases. It was not exactly encouraged and there were other limitations on flights in these security sensitive areas, but the FAA allowed it. That has changed. Nearly all military bases are now restricted airspace for drones. This includes the Army, Navy, Coast Guard, Air Force, National Guard and more. Aside from the security concerns, you never know when a low flying, high-speed military craft is about to buzz over. I’m sure you’ve read the stories about drones being used to drop contraband to inmates at prisons. Ignoring how illegal that is on its own, flying over correctional institutions is now illegal itself. Just another example of a few bad actors ruining it for the rest of us. Not that flying over top of a prison is on my list of things to do, but, because someone used a drone to break a law the rest of us are restricted. The FAA has added some DOD facilities to the areas you cannot fly, in August 2018, they specifically added a few facilities in St. Louis. Not all DOD facilities are currently no-fly zones, but you know what they say about being safe or being sorry? We recommend you at least do some homework about your area before taking to the sky. The Federal government decided the FAA’s wildlife refuge flight limitations were not enough to protect the wild. All National Parks in the United States have banned drones. As much as I agree with this law, it is one of the hardest to accept. Here are the most beautiful elements of our country, some of the most epic and photogenic bits of nature around, and we cannot bring our favorite camera to photograph them. Please note, but do not push your luck, the airspace above National Parks are controlled by the FAA. A park ranger can certainly fine you with trespassing and disturbing the peace etc. if you, yourself, are within Park bounds. If you are outside of park bounds and fly your drone over top of the park, you are not breaking FAA rules, nor are you trespassing. But you can still get tagged with noise complaints. This is a state-by-state basis, and sometimes a park-by-park basis, but many State Parks are no fly zones. The same rules apply as for the National Parks – the FAA controls the airspace, the park authority can issue fines such as trespassing or noise pollution. I cannot speak to many cities in the U.S. specifically, but the greater Portland, OR metro area has restricted drone flight over schoolyards. Primarily this is to eliminate flight over people, to protect children from a potential falling object. Also, there are many cultural sensitivities when it comes to mixing strangers with cameras and children. I wholly support this limitation. I vote to always protect the children. However, when children are not present, I do wish we could use the open fields of schoolyards to fly our drones. As a preemptive strike, many cities across the country have banned drones. We respect the goal of protecting people on the ground, but this really is the hardest restriction for hobby pilots. Where does one fly safely if not in an open field? And where does one find an open field that is not a city park or private property? That’s right, I do not like this rule. I respect it, and I will never fly over top of people, but I really wish my city would allow me to fly in the park. How do I know where I can fly? 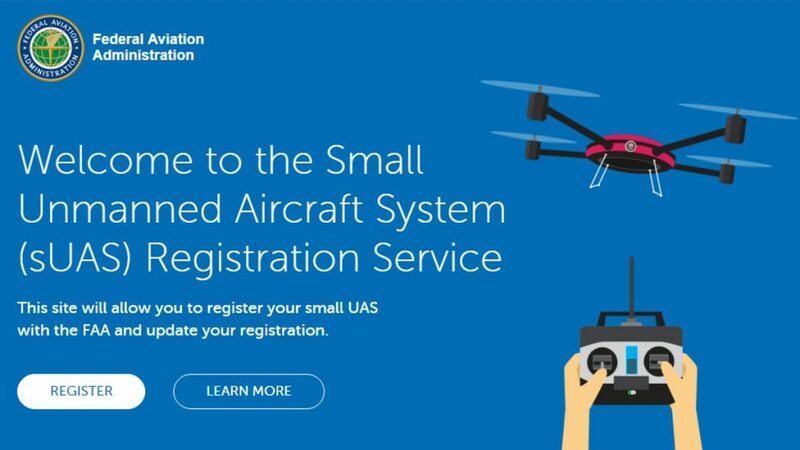 Aside from the basics we’ve covered as we ran down the FAA drone rules, in two parts, there are two apps (at least) that we think you should have installed for pre-flight organization. The FAA has built the app B4UFly, it’s a bit of a cumbersome app, but if there is an airport or other authority nearby that you need to call before you fly, this app will help you find it. Around here, we rely on AirMap. AirMap is not the definitive guide or authority over airspace, so you have to do your FAA info research, but AirMap has proven very accurate for us, and much easier to use. Best of all, if you are taking things to the next level, Airmap has powerful tools for Part 107 licensed commercial drone pilots. Where can you not fly your drone? Let’s call this list quits for today. As I say, there are plenty of safe and fun places you can fly your drone, and some of the best locations are out in the wilderness where it is completely legal and safe to fly. Within city limits of most places, however, the rules can be restrictive. If you plan to disregard the rules, please still keep your flights responsible and safe. This is a hugely fun hobby for some, a business for others. I urge all of us to do our part to promote a healthy perception of drones. Remember, all it takes is one drone doing something stupid to justify a new restriction for the rest of us. Have you had a run-in with the law over your drone? Drone size and head injuries, where do we draw the line on safety?